Save on hotels worldwide with Expedia. With an incredible number of Expedia special rate hotels worldwide you can find a great deal plus receive cashback on your hotel bookings. Click the 'Shop now' button to browse Expedia's huge range of holiday accommodation. 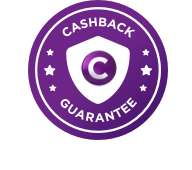 Price-matched sales will be ineligible for cashback. Cruises and/or Travel Insurance purchases are ineligible for Cashback. Car hire customers will receive rewards on time and mileage (base rate) only, not on taxes, fees or additional extras. Rewards may not be available until 95 days after the completion of travel. Complete your trip by booking your holiday activities through Expedia.